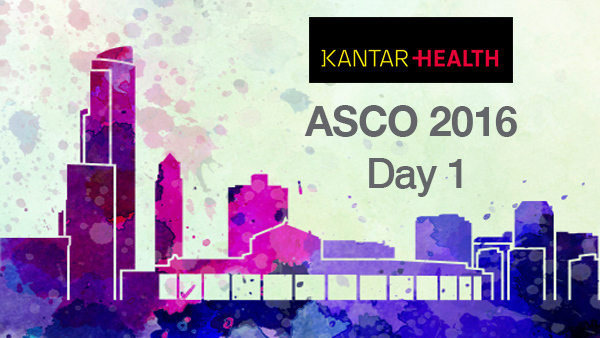 The 2016 American Society of Clinical Oncology (ASCO) annual meeting starts today (3rd June), and it promises to be packed with the latest data and trends from the world of oncology. Kantar Health has identified nine pivotal abstracts that could have a significant impact on patient management and generate the most discussion. 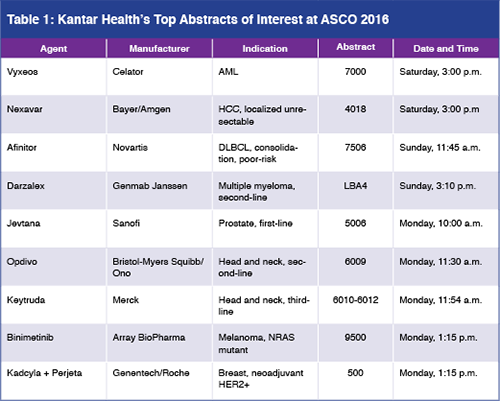 Kantar notes that only two of these presentations are for new entities in the oncology space – the majority of new advancements to be presented at ASCO will involve new opportunities for existing therapeutics. For a full overview of these presentations, including analysis and insight into the context of each click here for the full article.